The first question may come into your head is, what violation on Somali Constitution! And who made? However, the reality on the ground is not what is grunting in your insight; it is in fact far beyond that. This article will highlight to each reader some enlightening about how scholastically misled the uneducated Somali people who harder to draw distinct definition of Federalism from Decentralization, that is why Heritage Institution in collaborating with Dr. Afyare published a paper called “Decentralization Options for Somalia” and from that point, they drawn-out unhealthy research confusing the Somalis as endemic disease, even though the HIPS costs a lot to Somali people at large. 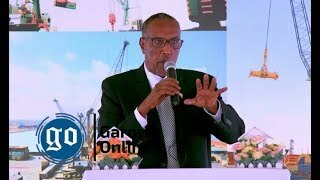 for that, this article deeply critiquing and scrutinizing the merely purpose behind the initiative of this confused article- written by Dr. Afyare which explicitly focusing on the options for a decentralized governance structure in Somalia and paving the way Somali decentralized-unitary government politically and administratively controlled and dictated in Moqdishu but regionalizes or delegates the basic services such education, health, and etc. Beforehand I go straightforward to The Scholastic misleading violating to Provisional Constitutional federalism of Somalia, I am very keen to share with you brief information about what Mogadishu-based policy research institute, Heritage Institute for Policy Studies –HIPS, that held a one-day symposium on Federalism in Garowe- capital of Puntland government in northern Somalia, on Thursday, 18th September, 2014 that publicly commented by many Somalis on Web-sites and social media like Face-book; and surely created very sensitive issue and huge skepticism to the adopted Federalism by Somalis in the meantime HIPS leading it in the form of Focus group research in six-cities of Somalia. And their research questions are totally based on the earlier writing of Dr. Afyare about decentralization options for Somalia. The interrogations were asked to the informants in that day were leading/ guiding questions deviating from Federalism context, system of government, to Decentralization which is a process of government. According to Jyothsna Mody “Decentralization is a process of transitioning from a governance structure in which power is concentrated at the central or national level to one in which the authority to make decisions and implement them is shifted to lower level governments or agencies (including parastatal organizations). For instance, one question of those six asked-questions presented by HIPS in the FGD was “is the federalizing program of Somalia initiated by Somali people or chosen it by the international community for us? 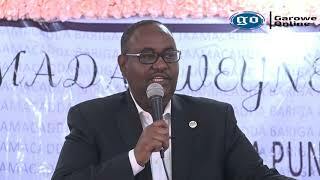 On the subject of this question, it is clear that it was copied from Dr. Afyare’s Work stating “By working with subnational actors, donors have gained significantly greater access to parts of Somalia not under the authority of the FGS. Still, and for better or worse, by working with regional administrations by-passing the government in Mogadishu donors has arguably legitimized the authority of subnational actors at the expense of the FGS. Encouraged from beyond its borders, by neighboring countries pursuing domestic agendas, and the donor community seeking practical measures to gain greater access to the country and, separately, through promotion of 'good governance' agendas. While the 'good governance' agenda largely corresponds with some of the domestic drivers for decentralization, the promotion of existing or emerging subnational entities, suiting practical or domestic purposes, threatens to complicate the process. If you carefully read this statement in matching with the question in the research of Heritage, you should be conscious about how the Anti-federalist scholar and Heritage institute are intertwined. Few disagree that decentralization of authority is necessary for Somalia to rebuild a government system that is trusted by all Somalis. Consensus on the type of such decentralization remains elusive. Officially, based on the draft constitution, Somalia is a ‘federal state’. This does not, however, mean the debate on this issue is over. There is no system of governance that can provide a panacea to the overwhelming governance challenges Somalia has faced since the collapse of the state in 1991. Lessons can be learned from other countries emerging from conflict to rebuild government but the Somali context is unique and, ultimately, sustainable solutions to its problems will also be unique. A major challenge is how to balance the contradictory trends within Somali society. Both centrifugal and centripetal tendencies are strongly present in Somalia. 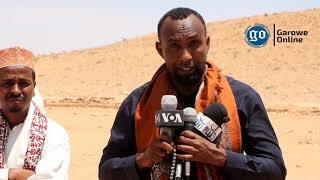 According to the notion of “working with subnational actors, donors...” The author, opposed the Dual track policy in Somalia formulized by US government and strongly criticized this policy by arguing that the International community is working with states, regional administrations which he is articulating that sub-nations are not under the authority of Somalia. He also mentioned in his paper that external drivers are passing beyond the boundary particularly the neighboring countries (Ethiopia, and Kenya) and donor community by pursuing hiding agendas. This implies that the author is neither allowed giving consideration to subnational governments along territorial lines to this current era of Somalia while there is no functional central government which people have in trustworthiness, respect and reliability. 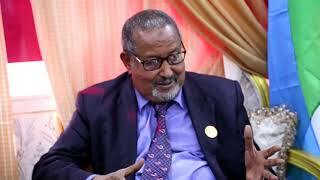 On other issue of interference of neighboring countries which Dr. Afyare marking that they are pursuing hiding agenda and they encouraging the emergency of sub-national entities and promotion of existing ones like Puntland and Somaliland is completely threatens to complicate the process is totally widely disagreed-inkling by Somalis. according to UN News Center (23 Dec, 2012), On 1 August 2012 a National Somali Constituent Assembly overwhelmingly approved the Somali Federal Republic’s constitution, titled Provisional Constitution. This what the Somali traditional leaders (Isimo) in Moqdishu approved and president Hassan Sheikh elected with. The author of the paper argues that the debate on the form of decentralization which Somali government is to adopt is not over as he is arguing that Somalia context is unique and not applied to the scientific theories of forms of government initiated the social science scholars and also not treat as other African federal countries: Nigeria, Ethiopia and South Africa, which paved the way for the FGS to dare to established states, in South and central of Somalia, result in chaos, new era of civil war and instability over the administration of Mudug region. 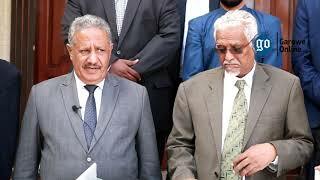 Obviously, it is clear as crystal that SFG violated the Somali Federal Provisional constitution, by ignoring the consent and desire of local people by imposing unacceptable and harder to believe orders, for example, Puntland, Jubba Administration and so forth actively practice federalism and could not bear with policy jeopardizing the reconciliation process via federalism system. according to Nickholas Kay, Sepecial representative of UN Secretary-General For Somalia (24, September, 2014), in his Article- Politics will save Somalia stated that “They have determined that stability depends not on turning the clock back to the Somalia that existed before the state collapsed in 1991, but rather on building an entirely new political construct: a federal, not unitary, state with democratic, not autocratic, governance. Why federal? The political reality in Somalia today is that power – political, military and economic – has dispersed around the regions. A formalised agreement on sharing and devolving that power is the only practicable way forward”. In conclusion, The provisional constitution explicitly states in Section 5 of Articles 49, that the new “Federal Member States boundaries shall be based on the boundaries of the administrative regions (18 regions existed in 1991) as they existed before 1991” and according to (Article 49(6)) “two or more regions may merge to form a Federal Member State.” The Somali Federal Constitution basically has decentralized characteristics. Article 48 creates two levels of government, the National Federal Government level and Federal Member State level, which is comprised of the Federal Member State governments, and local governments. This implies that member states leaders has the right to serve for their followers and deal with international community as well as the donor countries and every other country giving hand to secure the stability of their respective entity. Besides, giving the consideration to the definition of Federalism as "combination of shared-rule and regional self-rule within a single political system so that neither is subordinate to another. "(Watts, 1996). this scientific definition, definitely teaching us that Federating states has absolutely rights to their constitutional rights and again sharing some rights with the federal government whereby Dr. Afyare in companioning with Heritage Institute are persuading, leading and enlightening that decentralized-unitary-system of government is more suitable to Somalia context as the author pinpointed the Somalia is unique from rest of the World. This indicates that Somalis are deviating from the provisional constitution’s articles outspokenly federalizing the country in order to obtain long-lasting stability and peace for Somalia and also re-unite the fragmentized regions in a form of federalism, , particularly, “the New Federalism typology.